It would be an understatement to say that the first six months of 2017 have been a lacklustre for Bollywood. This year has witnessed a serious drought of hits in the first half. If we were to actually list down the hits in the first half of 2017 – there’s Raees, Kaabil, Badrinath Ki Dulhania, Hindi Medium and Jolly LLB 2. That’s it! Each of them have crossed the Rs 100 crore mark and received positive reviews. But no Bollywood film has shattered records or set a shining example in 2017 so far. The industry would have witnessed its lowest of lows this year had it not been for one film that redeemed this situation. This film we are talking about happens to be a South movie. This movie’s dubbed Hindi version not just crossed the Rs 200- 300 crore mark but the unimaginable Rs 500 crore mark that has now become a new benchmark in Bollywood! We are of course talking about Baahubali: The Conclusion. Regional going national – Like we mentioned before, Baahubali 2 is originally a Telugu film that had dubbed versions in Tamil, Hindi and Malayalam. This magnum opus on release became the first south film to receive a phenomenal PAN-India response. It bridged the gap between south and Bollywood cinema. The Hindi version was received as well as any other Bollywood film and it took the BO by storm. Baahubali was no longer just a south film, but a shining example in Indian cinema for all industries. 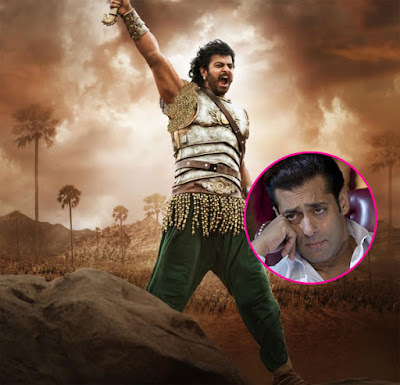 From a dark horse to a superstar – Prabhas was already a star because of Baahubali: The Beginning but his fame catapulted to unimaginable heights when Part 2 hit theatres. He became a phenomenon not only on screen but also off screen. The low-profile, simple actor fast became one of the most talked about personalities across the world. He was already the darling of masses but he became the darling of Bollywood with this film. He along with the Baahubali 2 team proved that it only takes a great character and a powerful story to rule any industry. Defeated the Box office Kings – Bumper box office collections in Bollywood are usually synonymous with the three Khans – Salman Khan, Shah Rukh Khan and Aamir Khan. Each of them have set an example for earth shattering records. But their records now seem a thing of the past, courtesy Prabhas’ Bahaubali 2. The film’s Hindi version is the only movie to have raked in a whopping Rs 500 crore at the Indian BO. Aamir Khan’s Dangal, Salman Khan’s Sultan came as close as Rs 380 crore, Rs 300 crore respectively but nothing more. Forget Salman Khan, Prabhas is the newly crowned Box office king! Crazy BO numbers – First day collection at Rs 100 crore, opening weekend collection grossing at Rs 500 crore, 10 day collection amounted to the never imagined 1000 crore! This movie boasts of countless such Box office records.With respect to its collection at Bollywood box office, this film became the only movie to cross the unimaginable Rs 500 crore at the BO. No Bollywood film has managed this feat. It took a south film’s Hindi version to achieve this feat. Daredevil concept – What made this historical drama a movie to remember was its daredevil concept. No director before SS Rajamouli had the guts to take on a gruelling, time-consuming concept like this. To add to it, the story was a original screenplay whose roots lay in mythological tales that we all love. 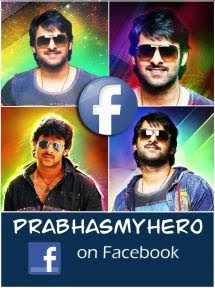 Also, there was no actor before Prabhas who committed 5 years to a single film! With a good director comes an even better actor! As the first half of 2017 comes to a close, Bollywood has a movie to thank for saving its face but at the same time it will remind the industry of the high, unimaginable standards this magnum opus has set. Every Shah Rukh , Salman, Aamir film that releases hereon will be compared to this historical drama, whether it’s needed or not, whether it’s liked it or not. Also we will always remember that a south film starring a south star once saved this industry at a time when it was needed. Looks like Baahubali will be Bollywood’s boon and bane. What do you think?